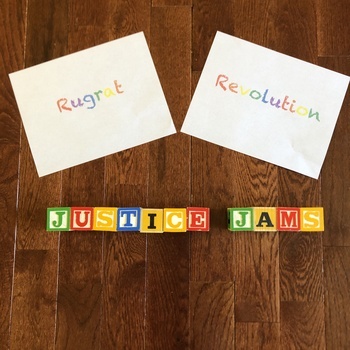 Play It Forward - Justice Jams! By Rugrat Revolution. Donations go to Black Youth Project 100. Minimum donation is $6. Any amount above $6 is tax-deductible. 100% of project revenue goes to Black Youth Project 100. Rugrat Revolution will be notified of your name and donation amount. This musical project is about honoring children’s capacity to understand, confront, and change the injustices of the world they have inherited. As an early childhood educator and a parent I’m aware that it is never too early to begin talking explicitly about issues like race, gender, inequality, and fairness. Unfortunately, most adults shy away from having these conversations with young children (and often each other as well). I wrote these songs to be used as tools to support families engaging in these crucial conversations. 100% of all donations will go to the Black Youth Project 100. Read more about the organization here: www.byp100.org.